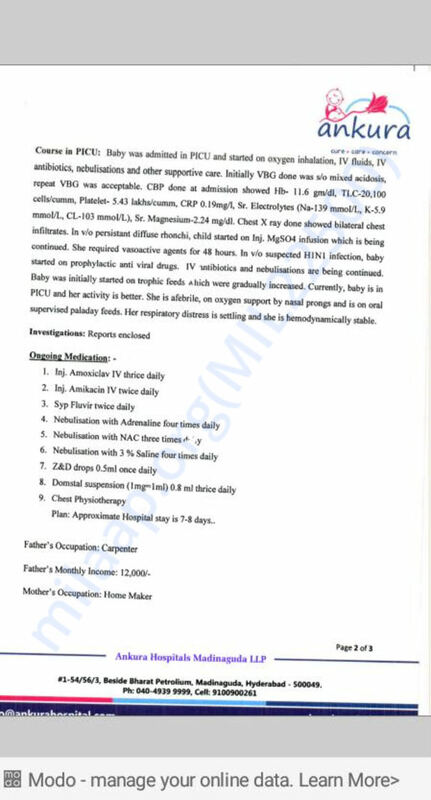 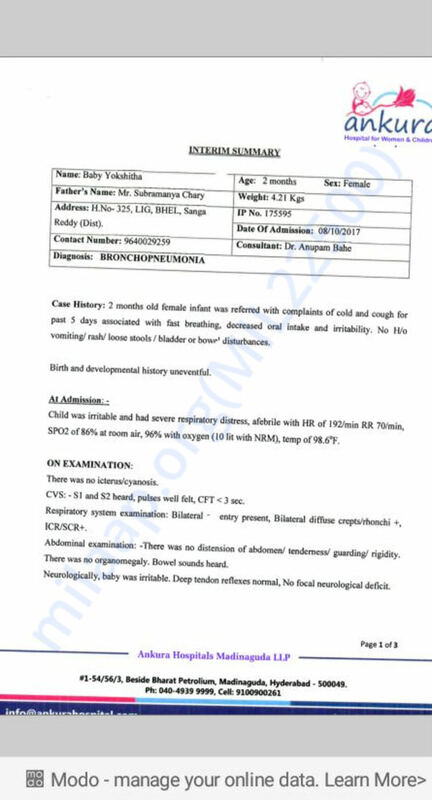 We got a case about baby Yokshitha. 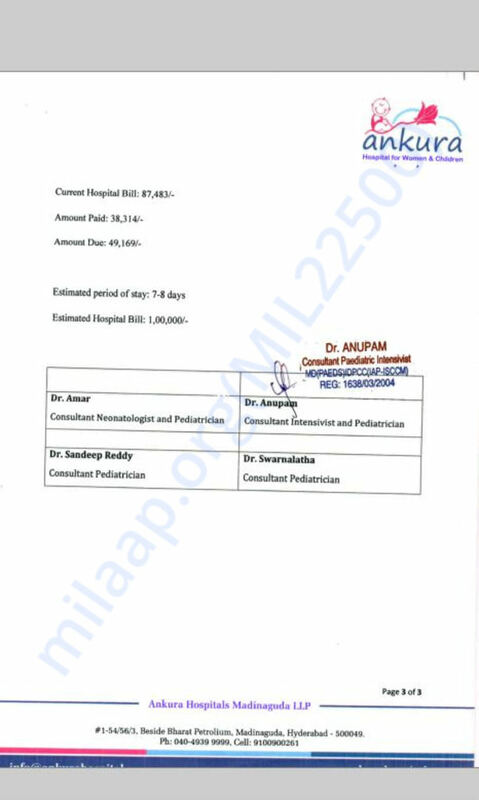 She has been hospitalised from one week as she is suffering from severe Pnemonia..she was in ICU they're family is financially poor. 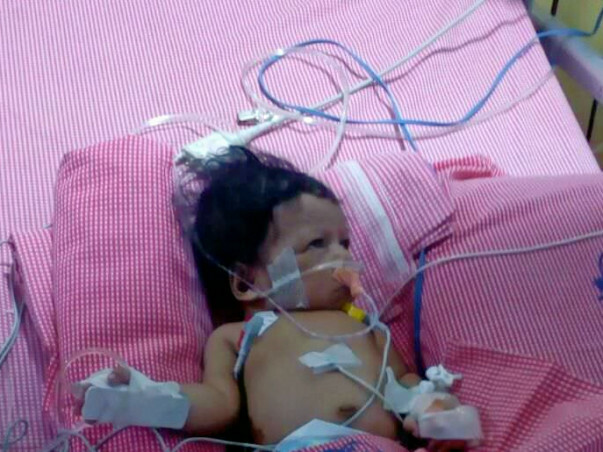 Please donate whatever possible, and help save baby Yokshitha!